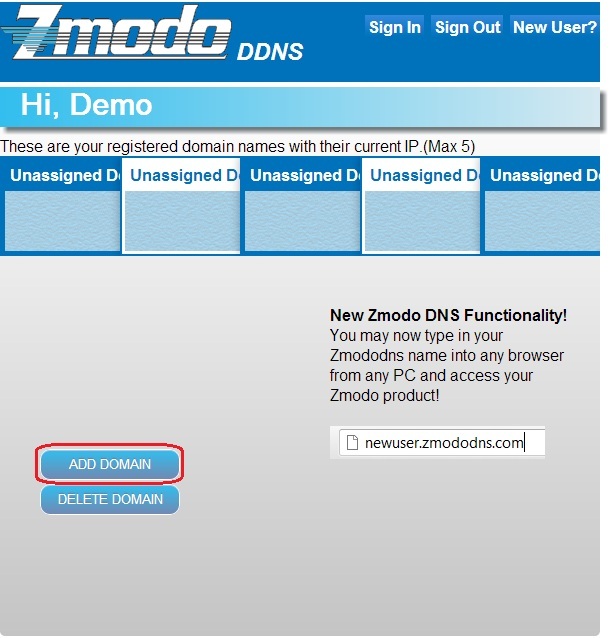 Zmodo is proud to introduce our new dynamic DNS service, which will allow our customers to automatically update their public IP addresses with our server and connect remotely to their devices through a friendly, easy to use interface. Getting everything set up is straightforward and should only take a few minutes. Choose your desired username and password at our site. You will be informed if an existing user already exists, or if your email is already registered (limit 1 account per email). Once signed in, you will need to add a domain. This will be the address used to access your device. Each account can request up to 5 domains for use with multiple devices at different IP addresses. Enter the desired domain name into the blank and hit submit. If the name is available, the user will be informed of a successful domain creation. Otherwise, the user will need to choose a different name. Step 3. 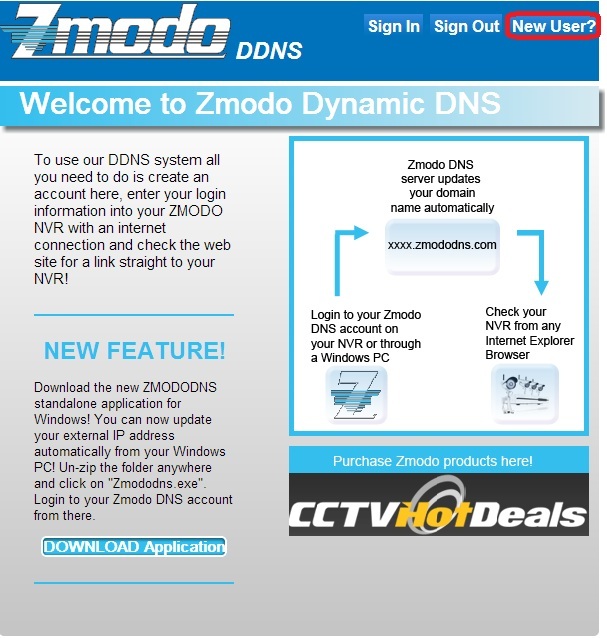 Configure the NVR to use zmododns. a. In the NVR, navigate to "Configure system settings”, then "Configure network settings”, then click on the "DDNSSettings”. b. Choose "zmododns” from the server drop down menu. c. Enter the newly registered user name into the "Account” field and the password into the "password” field. 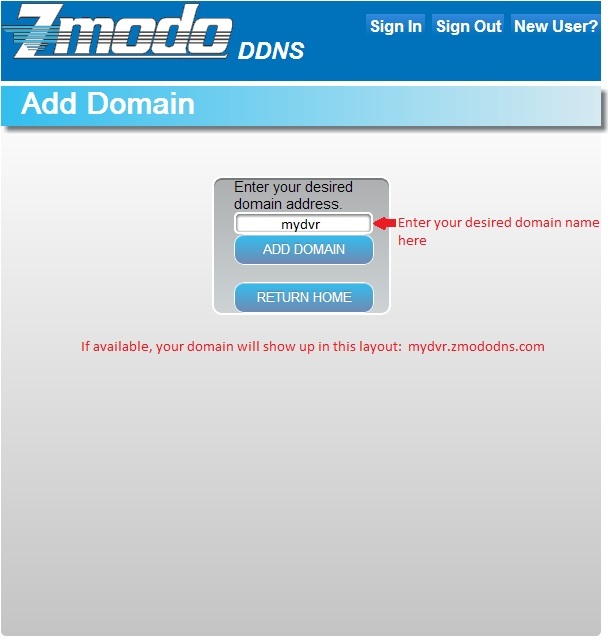 d. Enter the full registered domain name into the domain field (for this example, it would be mydvr.zmododns.com). e. Be sure the "On” button is checked on the top left. f. Click "Save” to save the settings. 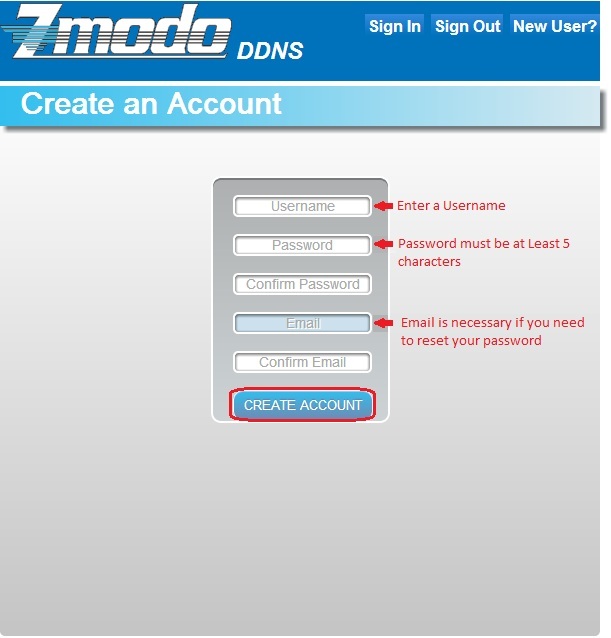 Zmododns.com will also have the latest updated public IP address for each of the domains on the user's account. The log in interface is easy and intuitive, and will remember the user's session (no need to log in again on subsequent visits). Once logged in, the user will be presented with links to his/her domains.